Half term is nearly upon us and we'll be opening our usual extended opening hours. We're also running our skate club on Tuesday and Thursday so if you want rid of your sprog for the day hit us up on the phone, DM, email or have a word when you're in. We've teamed up with @girlskateuk and @deathskateboards to bring you an Xmas extravaganza. Saturday 15th December 5 while midnight. It's a night of two halves with a girls only session 5 while 7 and then come one come all 7 while 12. We're also very pleased to announce we will be hosting the northern premier of the new death film #intothevoid at about 9. You might want your big coat!! Roll up, roll up, Ladies and Gentlemen! it’s House Comp time again, and this year we’re promising thrills, spills and remarkable feats on Saturday 29th September in our Sheffield Big Top. Let Ringmaster Nathan Black guide you through our spectacular series of competitions where skaters will battle it out to be queen or king of the sawdust ring. Our circus opens at 10am with the first of the comps starting at midday with the 12 and Under comp, followed by 16 and Under, Over 16, and Girls, with the Pro-Comp as our dazzling grand finale with a cash prize for the winner. And this year’s added attraction is the terrifying ‘Tightrope’ challenge with no safety net! As ever it’s £5 to skate, spectate or enter, and if you want to enter then get here early to get your name down as spaces are limited. See you there for The Greatest Show on Earth! Please Note: This circus does not use performing animals. From Monday 23rd July until Sunday 2nd September we are open 11 - 9 weekdays and 10 - 9 weekends. 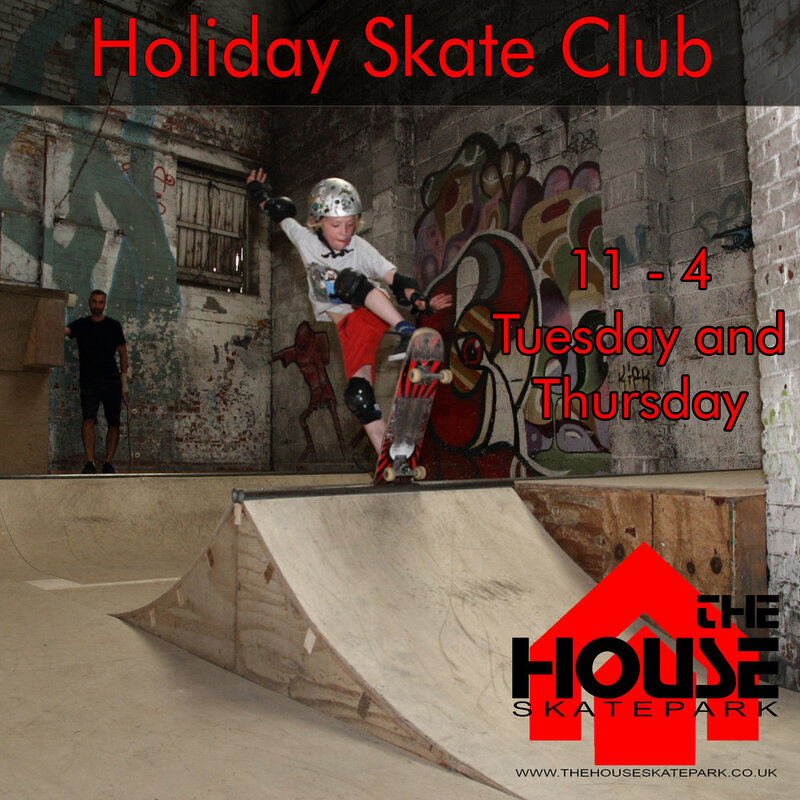 The skate club is also running email info@thehouseskatepark.co.uk or phone 0114 2490055 to book a place.